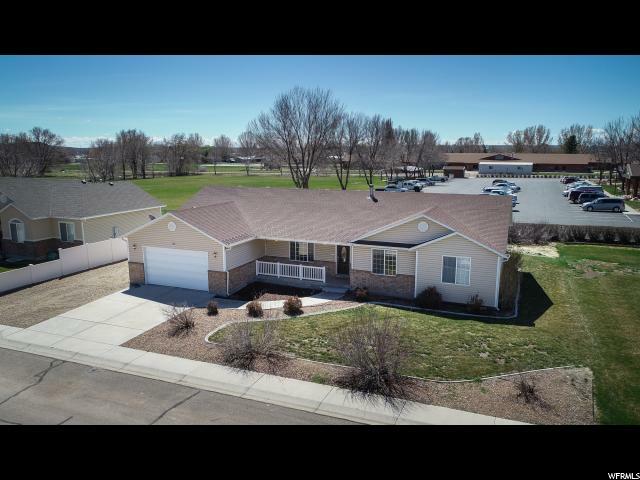 All Roosevelt homes currently listed for sale in Roosevelt as of 04/22/2019 are shown below. You can change the search criteria at any time by pressing the 'Change Search' button below. If you have any questions or you would like more information about any Roosevelt homes for sale or other Roosevelt real estate, please contact us and one of our knowledgeable Roosevelt REALTORS® would be pleased to assist you. 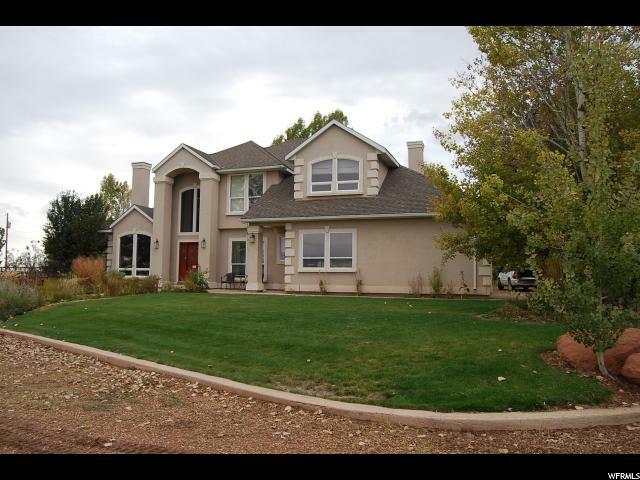 "This custom Home and Horse Property offers unmatched beauty comfort and convenience. 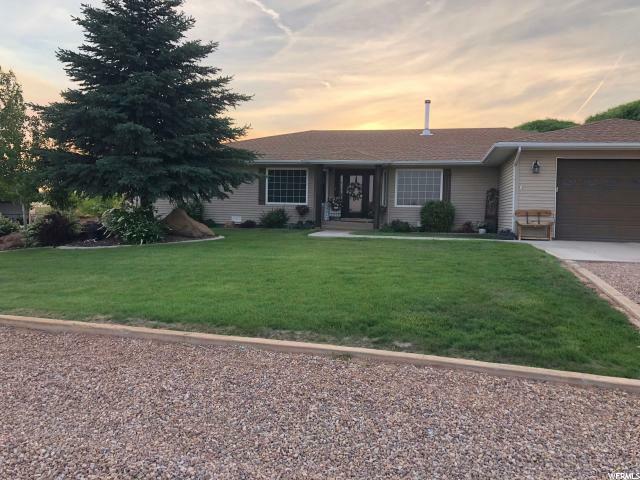 The 10 acre lot is secluded and spacious with full landscaping and spectacular views Family fun awaits with a large cemented firepit and covered deck. Inside are amazing interior architectural features including rock arches ship-lap and 11 ft ceilings. Great room is functional and inviting with built in TV fireplace and custom cabinetry. The spacious kitchen boasts a huge bar and oversized fridge. Master en-suite exudes luxury with large soaking tub and 5 X 5 walk in shower with 5 heads. Large upstairs bonus room. Detached garage is heated and cooled and includes a man-cave and extra storage. RV pad with plugin. Also included are corals and fencing for live stalk. " 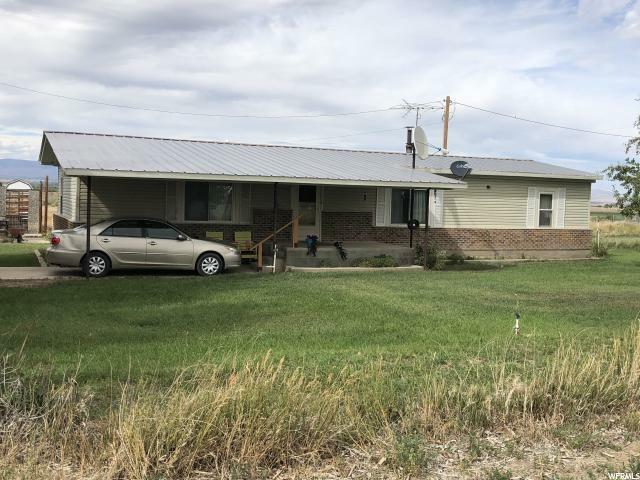 "COWBOY PARADISE, 2 horse stalls, barn/shop, 3 door Mechanic building 40 X 36, 11 acres, roping arena, 8 shares of Class D Water, pump station, shed 2nd parcel # 00-0035-0947"
"This house is in an incredible location with beautiful views of the golf course, Roosevelt City, and Blue Mountain. The kitchen has an open airy floor plan, and can accommodate large gatherings. The lot is just shy of one acre, and has a very nice landscaped yard. The detached garage is deep and makes a great place for projects or storage. A must see! Call today for a showing. " "GORGEOUS HOME ON NEARLY 6 ACRES IN COVENTRY COVE SUBDIVISION!!! 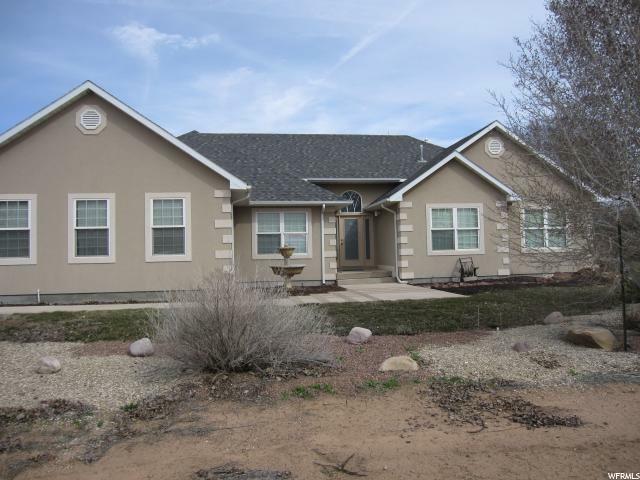 This custom built 2,625 SF Rambler home has 4 extra large bedrooms & closets & 2 bathrooms. INTERIOR EXTRAS INCLUDING; custom kitchen with granite countertops, tile & carpet flooring throughout, spacious master suite with separate jetted tub & stone surround wood burning fireplace. 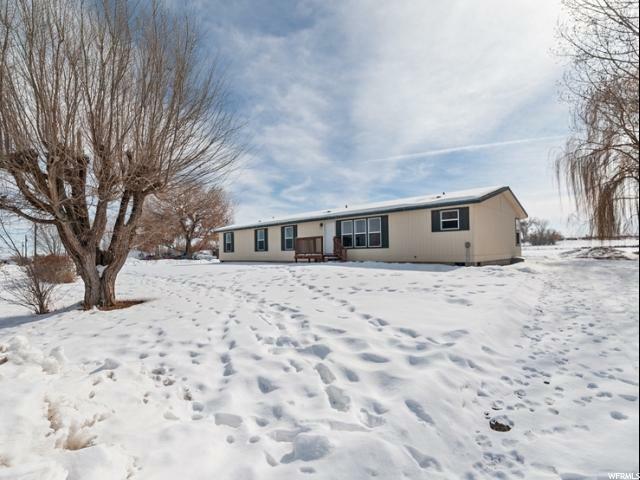 OUTSIDE EXTRAS INCLUDE; 6 shares of water, fenced field and corrals with shelter, maturing trees and shrubs, covered patio perfect for sunsets gazing, storage shed, RV storage, immaculate yard with automatic sprinkling system. Square footage figures are provided as a courtesy estimate only and were obtained from previous appraisal. Buyer is advised to obtain an independent measurement." "Every detail has been attended to in this amazing home! Design concept focused on natural light, views of sunset, fields and mountains and beautiful zero scape front provides low maintenance and minimizes road obstruction. Extra insulation in walls for extra noise control along with insulated floors. Lot feels much larger than 2 acres due to the shape and has a small stream in the back and incredible play structure for kids. Designer lighting throughout the home. Crawl Space is extra tall and allows for a ton of storage. Home was designed for expansion-if a garage is added to the home, additional living space can be added above." "BEAUTIFUL HOME BOTH INSIDE AND OUT! Custom built 5 bedrooms 3 bath immaculately kept home. This 2,813 SF home sits on .45 acre lot with INTERIOR FEATURES INCLUDING; gorgeous hickory cabinetry, solid surface countertops with built in sinks, tile, carpet, vaulted ceiling, master bath, electric fireplace insert with fan, wired for surround sound in basement family room, cold storage under front porch, large storage room, built in custom closets in each room and on-demand water heater. EXTERIOR FEATURES INCLUDE; extra large 2 car garage with hot water faucet & gas wall heater in garage, all attached shelving in garage and shed included along with the peg board in garage, nice size storage room behind garage and covered patio with shade screen, large front porch, water fall, garden area in landscaping, maturing trees including many fruit trees, pine trees and 3 meticulously grafted fruit trees, and many others shrubs, a vinyl fenced yard with deep RV storage area, a fully automatic sprinkling system and a basketball standard and cement pad for a quick game with family or friends. Square footage figures are provided as a courtesy estimate only and were obtained from previous appraisal. Buyer is advised to obtain an independent measurement." "Perfect location! Live close to town, yet in a country setting on this horse property. 2.50 Acres with pressurized irrigation water and wheel lines. Square footage figures are provided as a courtesy estimate only and were obtained from county records. Buyer is advised to obtain an independent measurement." 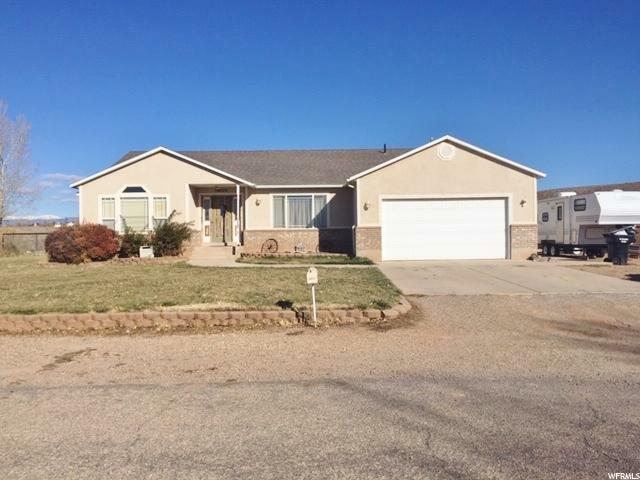 "Make an appointment to see this beautiful 5 br 2 ba 2952 sq ft home just outside of the City Limits of Beautiful Roosevelt. You are only minutes from downtown. 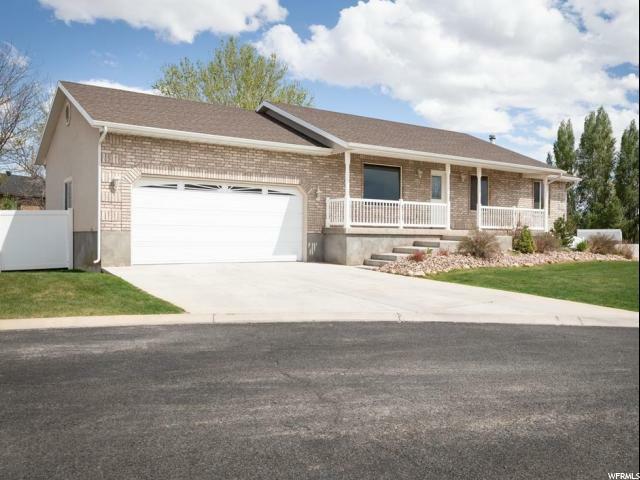 This home has something for everyone,Lots of square footage, property and a 3 car garage. Plus new tile Floors and back splash in the kitchen. Square footage figures are provided as a courtesy estimate only and were obtained from ______________ . Buyer is advised to obtain an independent measurement." 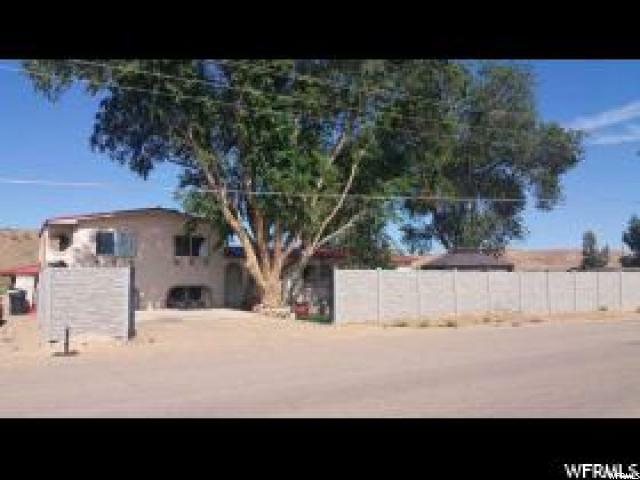 "Great home located in the heart of Roosevelt that borders a park. Hardwood floors, solid surface counter-tops, formal living room, beautiful backyard with a garden spot, and more! Over 3200 sf. Great storage space. Close to schools, churches, and restaurants. Schedule your appointment to see this beautiful home today!" 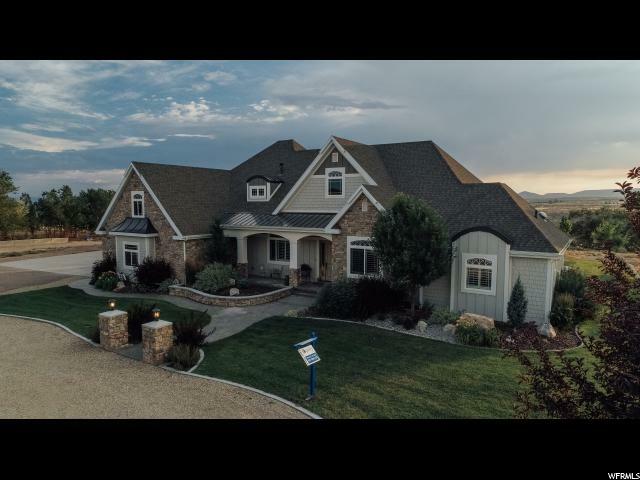 "This is a beautiful custom home on 1 acre. It is in the Gale's Acre subdivision . 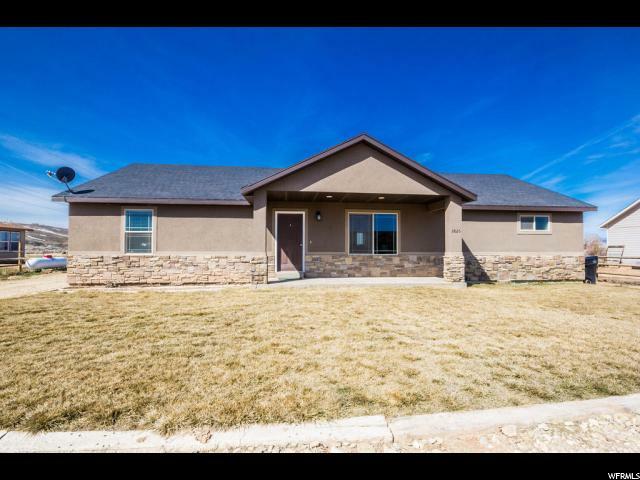 It comes with a beautiful rustic Hickory kitchen, pressurized irrigation, Hardwood floors, Pella windows, Custom closets and a great bonus room upstairs. Square footage figures are provided as a courtesy estimate only. Buyer is advised to obtain an independent measurement." 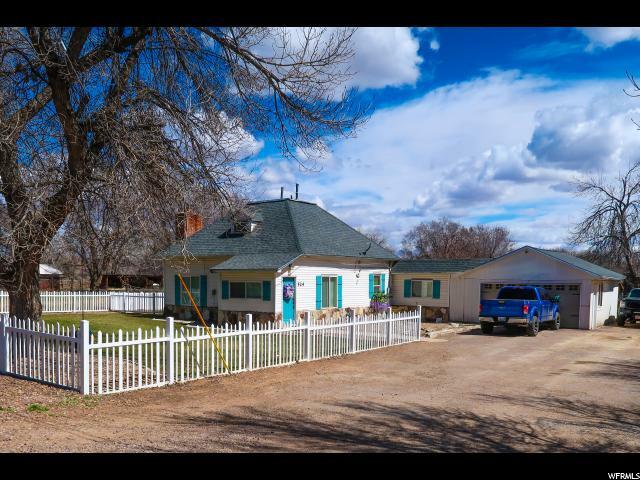 "Large rambler style home located on 5.25 acre lot. Many updates throughout. Mature landscaping which includes many fruit trees. Comes with 2 water shares. " "This beautiful 5 bedroom home has a great , open floor plan with 3 full baths and on demand hot water so you'll always have hot showers! RV parking on the side and garden in your backyard. Square footage figures are provided as a courtesy estimate only and were obtained from county records . Buyer is advised to obtain an independent measurement." "Gorgeous like New home on the 2nd hole of the Golf Course, no HOAs. 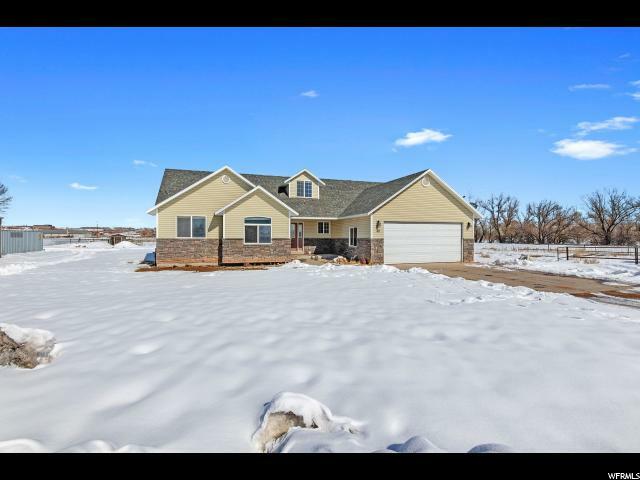 4 beds, 2.5 baths on .91 of an acre. 3 car garage. Knotty kitchen cabinets. Garage has two 220 outlets and 120 with own breakers (6 AC outlets per side of garages). Home has secondary source of water. Beautiful views!" "Golf Course Living! Beautiful 5 bedrooms 3 bathroom home in a private community on the Roosevelt City Golf Course. This home is very well taken care of. 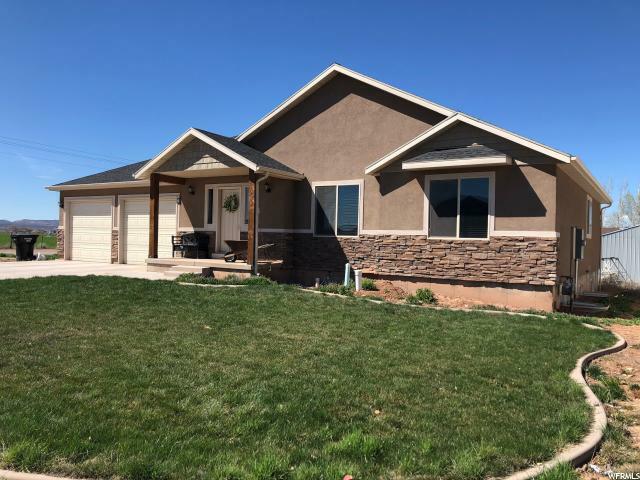 It has granite counter-tops, stainless steel appliances, Travertine, tons of storage, wood burning stove, a secluded fenced back yard, full landscaping, vegetable garden, and much, much more! Square footage figures are provided as a courtesy estimate only and were obtained from County Records . Buyer is advised to obtain an independent measurement and buyer to verify all info." "New Price!! This like new home is a must see! Huge Master Suite with walk in and oversized tub. The Open Kitchen/Family Room provides perfect family setting. Back porch is perfect for outdoor entertaining. Tons of storage cold storage in fully finished basement." "Beautiful rambler in desired neighborhood. Bose surround sound system throughout home. Extra kitchen cabinets, good lighting, and great storage. Exterior of the home has beautiful landscaping, patio, hot tub and fire pit. There is a HOA but it does not include fees. Supra on front door." "Large home with six bedrooms located on a corner lot with a circular drive. Fantastic location near schools, restaurants, and other amenities. It has large shade trees and a covered deck. Over 3500 square feet! Come take a look!" "Finally - a producing farm with water shares. About 9 acres are currently in oats & rye. There is also some hay planted in front and to the side of the house. All watered with 13 shares of pressurized water. The 3 bed 2 bath manufactured home has been well cared for. The kitchen and both bathrooms have been upgraded. Double pane vinyl windows and a metal roof have also been installed. A new furnace was installed in 2017. All rooms have walk-in closets. 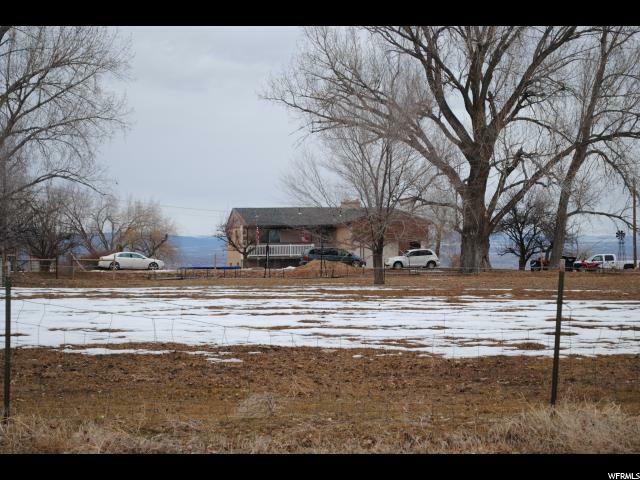 The property also features a 3 car detached garage/shop, several storage sheds, chicken coop corrals. 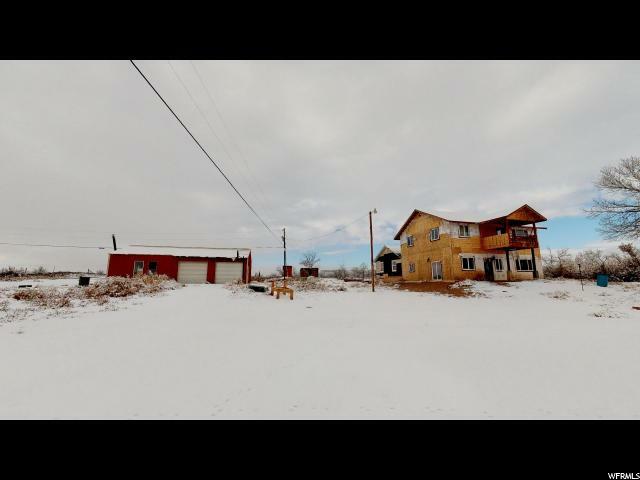 Come see this turn key farm." "Opportunity is knocking. Are you ready to get your DIY on? Owner moved out of the area before their remodel was completed. Contractor Quotes are available. Call listing agent. Their loss is your gain! Room for six bedrooms! Roof with 50 year shingles, and septic replaced in 2011. Double pain windows. Tons of storage above garage. Owners leaving behind kitchen appliances, furnace on second level and workbench in the garage. Everything in the home is included in the purchase price! Don't forget to view the virtual tour to walk through the home in detail. Property taxes for 2019 have been reduced drastically by the county assessor for 2019 based on the completion of the home. Square footage figures and tax information are provided as a courtesy estimate only and were obtained from County Records. Buyer to verify all information." "Looking for private rural living? Look no further! Home on 10 acres ready for horses or hobby farm. No neighbors and privacy make this home a unique property. Completely remodeled fall 2015 with a full walk-out basement and vault space under porch. 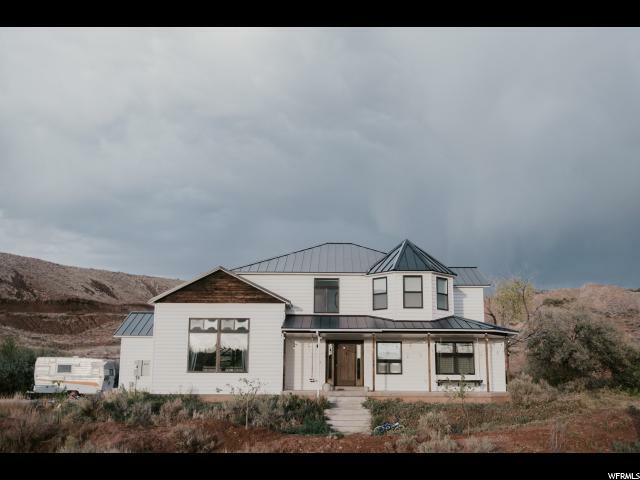 Property features artesian well that supplies water for the heat pump and recycles water into the irrigation system. No water shares owned, as the artesian well is unlimited supply. Quanset barn in place for storage; 3-4 acres fenced pasture; dog run and small chicken coop. Property features natural spring and garden space ready for spring. Power and water lines have been dug in for a barn/shed to be built. Basement includes rough plumbing for additional 1.5 baths and radiate in-floor heating once heat pump unit is hooked up. Motivated sellers! Contact for additional photos and videos of the home and property. " "This Cozy farm house has all the charm of a vintage property but inside has been completely remodeled with new plumbing/electrical/roof and tons of upgrades including Granite counter tops-on demand hot water-new flooring and lights Home is fully fenced (White Picket of Course) All this on nearly 2 acres! This Unique property is a must see! Square footage figures are provided as a courtesy estimate only. Buyer is advised to obtain an independent measurement." "Single level home in Independence on 1.00 Acre. The interior has new upgrades such as carpet, flooring, paint, and more. It features an extra large master bedroom with a master bathroom that includes a garden tub, double sinks, and a separate shower. Located close to town, yet still has that country feel. There is ramp for wheelchair access to the backdoor and two sheds for storage. " 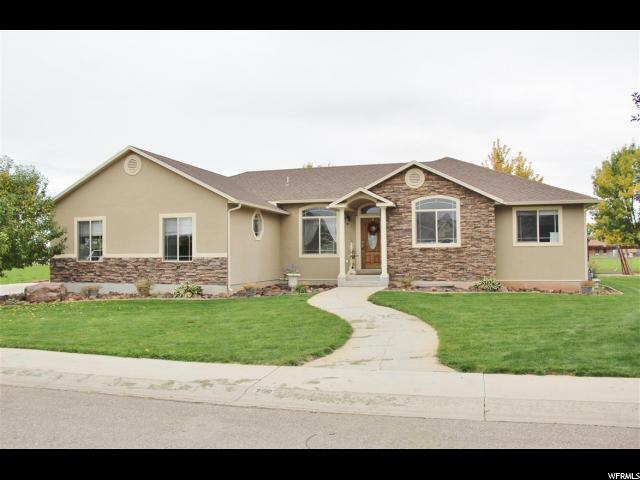 "Great Home in Roosevelt with Horse Property! Located on the West Side of the City. Three Large Bedrooms, Master Suite has a Large Walk-in Closet, Master Bath with Separate Tub/Shower, Double Vanity. Kitchen is Spacious with Tile Floors, Stainless Appliances, Large Island, Room for Large Table. Laundry Room is Spacious and has a Door to the Rear of the House. Crawl Space Under Entire Home for Storage, Front Yard is Landscaped with Automatic Sprinkler System, and a Circular Driveway. Over One Acre of Land with Lodge Pole Fencing From the Front to the Back of the House. A Must See!!! Call to Schedule Your Showing Today!"